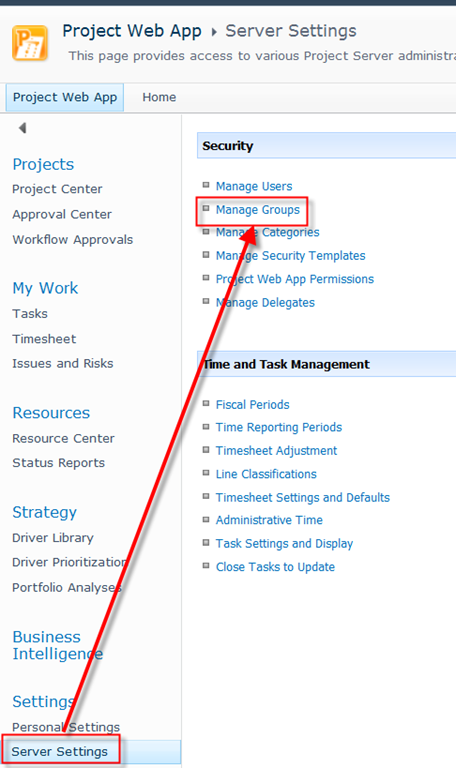 How to manage Group permissions for Categories in MS PROJECT 2010! 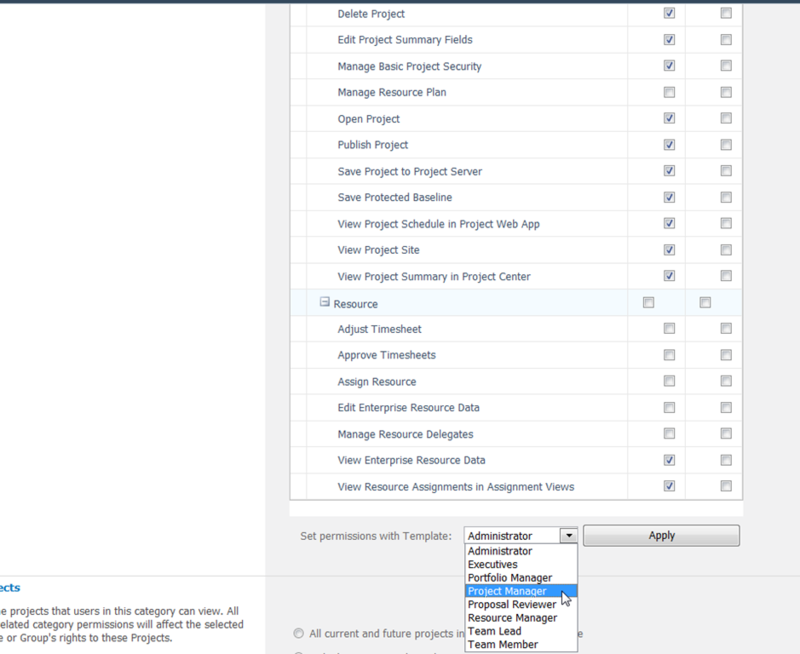 I will show you how can you manage group permission for category, and vice versa in MS PROJECT SERVER 2010. 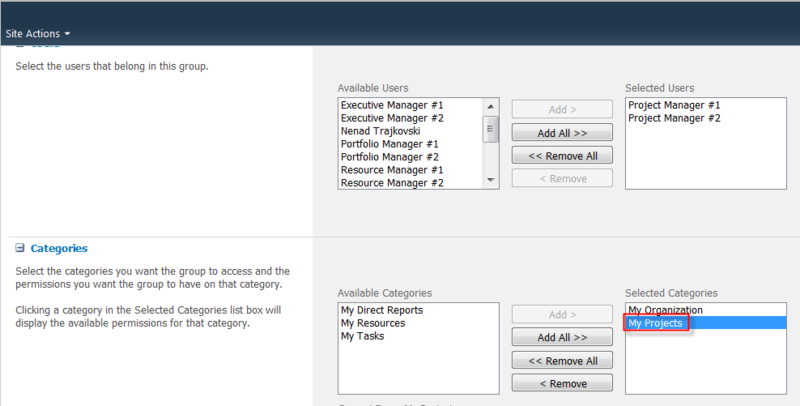 Here are default permissions for this Category! You can choose what you can do with permissions! 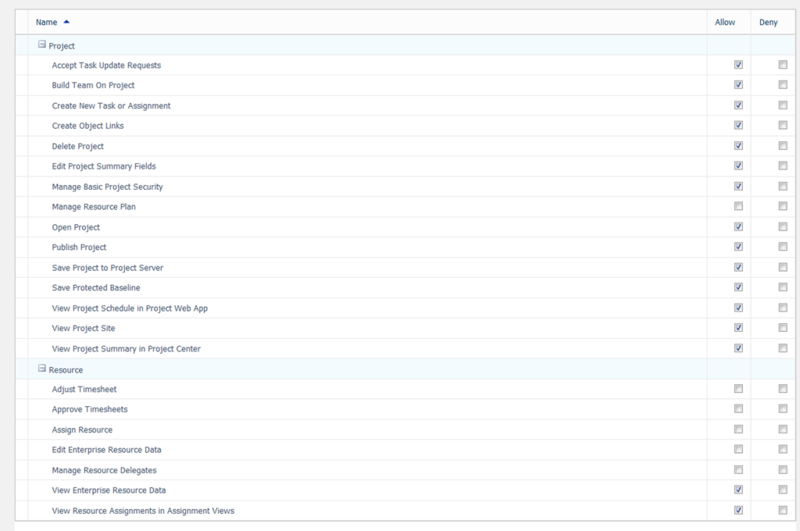 As you can see My Projects category is about What you can access, and with Group permissions you can choose what can you do with that! This was explained in my previous post! 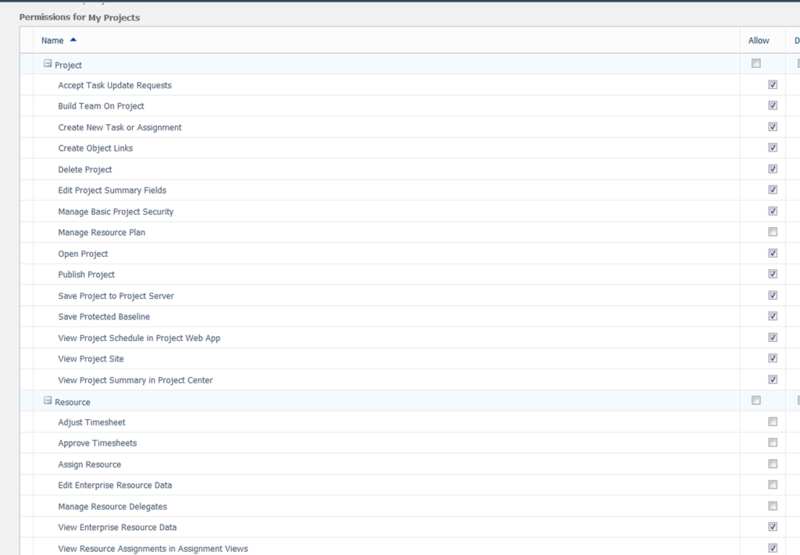 As you can see users in Resource Managers category can not Open Project, nor they can Publish Project. You can change those permissions if you want. One advice! 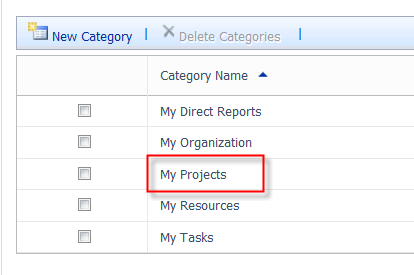 You can select any particular group in Users and Groups, and then change permissions for this group, and you can choose any User which belong to that Category, and then change permissions to this particular user for this category! DO NOT DO THAT! 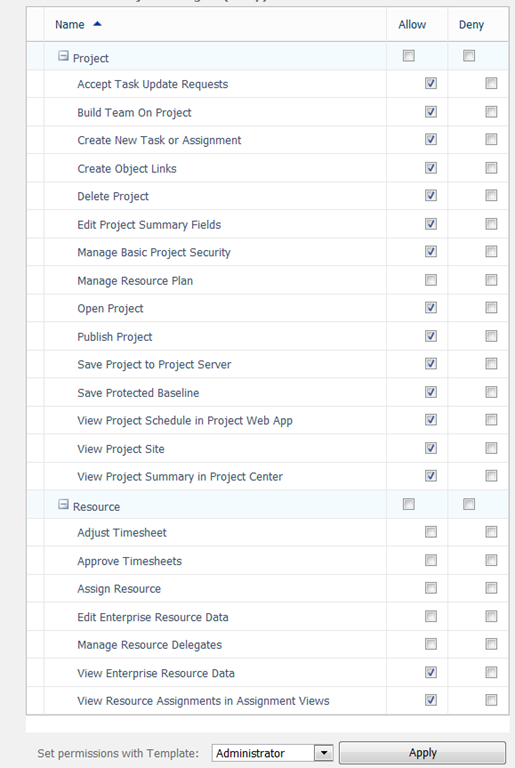 Do not change permission per user, because in Enterprise Project Management you will probably have hundreds of users, and if you manage permissions for each of them, you’ll get in trouble, because you will forgot which user has special permissions. 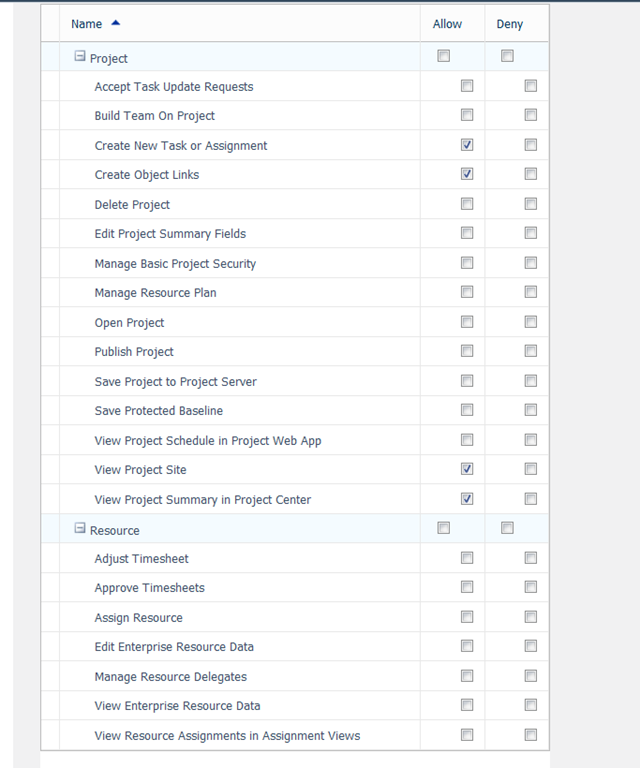 If you want to have some special permissions for a group of users, make your own group or category, or both, and then manage permissions there. I have same set of permissions. So you can do the permission settings from both Groups and Category. Choose one method, and stick to it. I recommend that you manage those permissions through Categories! If I do that this Group will inherit permissions from that particular Template! 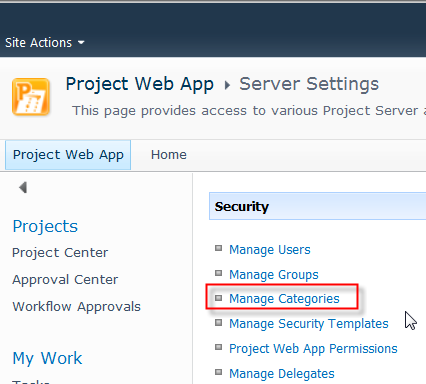 Here you can change permissions, and then apply them through Categories via Security template. It may seems complicated, but once you’ll try it, you will soon be familiarized with them. Once again, NEVER SET PERMISSIONS PER USER, BECAUSE YOU WILL GET CONFUSED VERY SOON! Use groups, categories and security templates instead! This entry was posted in MICROSOFT PROJECT, Microsoft Project Server 2010, MS PROJECT 2010, PMI, PRoject Management and tagged Microsoft Project 2010, Microsoft Project Server 2010, Microsoft Project Server 2010 - Groups and categories, MS PROJECT. Bookmark the permalink.